Recently, the U.S. federal government lost a landmark case. Back in 2013, with the advent of mainstream 3D printing technology, Texan Cody Wilson came up with a way to literally print a working firearm (if the necessary metal components were added). He made the schematic free on the internet. Within days (but after 100,000 downloads), the federal government ordered the plans taken offline. Wilson obeyed but sued the government for infringement of 1st (and 2nd) amendment rights. 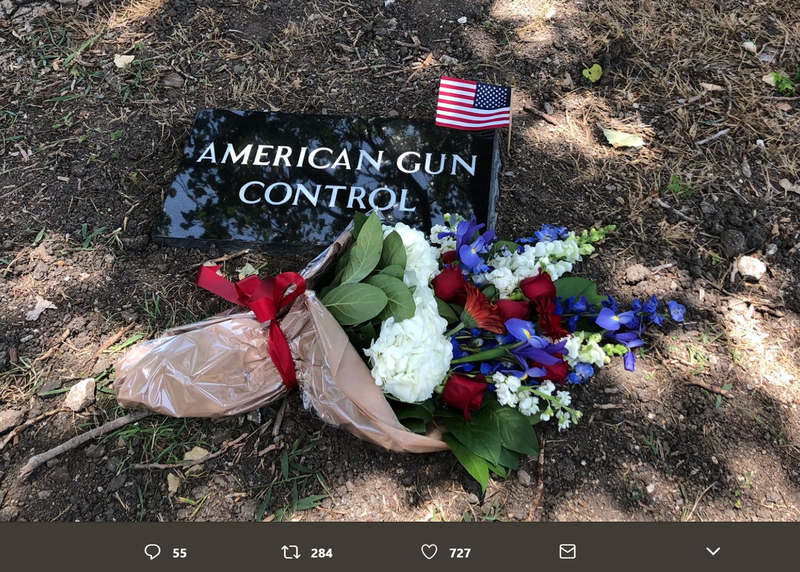 In response, Wilson tweeted an image of a gravestone marked “American Gun Control”. It’s long been understood that when there’s a social ill, the government should impose a law to curb the occurrences of the ill. The problem with this system today is that technology is undermining the power of law—in increasing fashion. 3D printing is just one technology weakening the power of governments. Consider how the internet has complicated efforts to regulate gambling, prostitution, and music/film piracy. In the days of backroom card games, alleys to find a lady of the night, and CDs to burn, laws had more power because law enforcement officers had places to get the perpetrators or confiscate the goods. But now such arrangements—if not the illicit activity itself—can be done without leaving one’s home. To be sure, such areas of law haven’t lost all their teeth. Anti-piracy legislation has slowed what once was a tidal wave of song and video sharing. And perhaps the U.S. government (or specific states) will write new laws regulating 3D printers. Who knows? But the writing is already on the wall, despite Congresspeople scrambling to prevent the release of Wilson’s gun schematic). In these days of rapid, vast, decentralized communication, the idea of policing information transference (whether financial, data, or conversation) is becoming impractical. As our lives migrate onto the internet, government as we know it—as a shaper of social activity—is showing its age. Compared to the pace at which such technology is advancing, government can’t keep up. As such, and accelerating its declining importance, government is an institution that also has ceased attracting the best and brightest among our population. We already know government has failed at fixing social ills such as drug abuse, poverty, violence, etc. (In some of these cases, government action has made them worse.) I believe us civilians can collectively step up to the plate and make a real difference. This new era of technologically-induced, de-emphasized government will require us to do so. At the same time, representing perhaps the other side of this coin, technology will make some laws unnecessary by fixing social problems. Rather than debating the legal limit to drink and drive, as well as how to handle such perpetrators, we get to instead see how ride-sharing smartphone apps and self-driving cars remedy this social ill. The same can be said about the prohibition of selling one’s bodily organs when we can 3D print kidneys, or fishing regulations in the days of lab-grown meat. Rather than having to write laws and debate morality to try and change behavior, technologies will simply remove the need for debate altogether. This phenomenon, combined with a population more responsible for their communities and for each other, means the future looks bright in my view.